Certified to the highest food safety, manufacturing, agriculture and security standards. All Kaliroy Fresh production centers and products are certified by the Mexican government’s quality assurance program guaranteeing that we meet agriculture’s highest safety and quality standards. 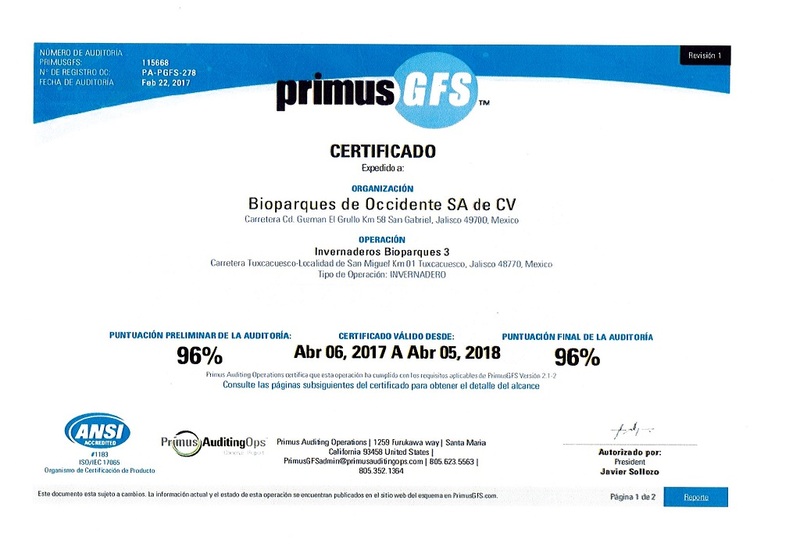 Due to our strict rules of operation and careful attention to food safety, we have also earned top tier certifications from Global G.A.P., Senasica and PrimusLabs.